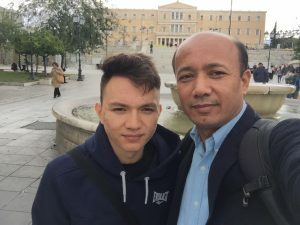 After seventeen years in Greece, Yonous Muhammadi, President of the Greek Forum of Refugees, received the Greek citizenship and is now a Greek citizen. 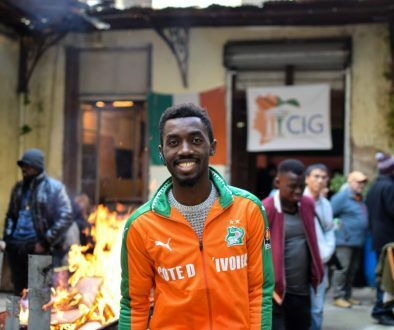 “I am one of those individuals who came to Greece to stay. For me, nothing changed. I just acquired the documents now. When I obtained the asylum status in 2004, I felt that Greece is my new home. Asylum is a very important thing for every refugee, because when a person receives this, he feels safe, he feels that he is not being persecuted, he feels ready to build his life again. He can fight for his dreams. I was more than happy for my son, Rouen. My son grew up in Greece and he always wondered why he was being searched at the airports so meticulously, more than other children. His dream was to travel to Afghanistan, to see his grandfather and his grandmother. Now he can do it. In addition, he is about to apply for Erasmus and travel to England. This is something he wanted so much. And now he can do that as well. There are many like me who feel exactly the same things that I feel too. There are many who love Greece and Europe and wish to acquire the Greek citizenship and contribute even more to the social and political life of the country. However, the procedure is so complicated, so time-consuming, so tedious that many people tend to give up the effort and decide to leave Greece. Procedures need to be simplified so that the people who live here are not worn out and not leave their home country. Especially for children that are born and raised here. Like my son, Rouen, who is 17 years old (he is turning 18 in November, so I already made him a good present) will have this great opportunity. And now that I am a Greek citizen, I am looking forward to receiving my Greek identity and passport, with pride and honor. I will vote for the first time, in my 45th birthday, in the next elections. I can now exercise my political rights. And that was a dream that came true. Even after seventeen years. If it happened for me, it can happen for others too”.